Order your Native Instruments Komplete 12 Upgrade from Komplete Select from AMS and enjoy 0% Interest Payment Plans, Free Shipping, Free Extended Warranty & 45 Day Money Back Guarantee. Upgrade your KOMPLETE SELECT to KOMPLETE 12! Must own Komplete 11 Select or Komplete 12 Select. This is also the upgrade for Maschine Mk3, Maschine Studio, and Komplete Kontrol S-Series owners since they come with Komplete Select. This collection contains more than 50 premium instruments and effects, including KONTAKT 6, TRK-01 and DISCOVERY SERIES: MIDDLE EAST plus 10 Expansions. For any music production task, choose Komplete 12 Software featuring superlative instruments and effects collection. 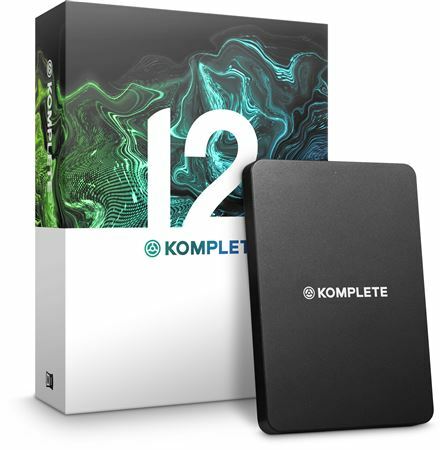 KOMPLETE 12 raises the bar for production, performance and sound design in any genre.